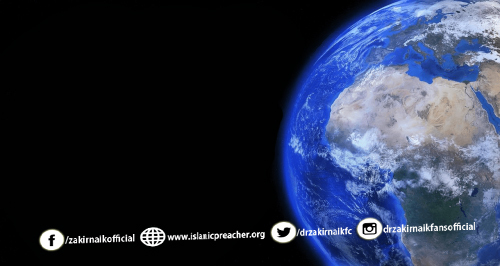 Home / Unlabelled / Here are Few Signs From Allah that Show You Have Been Forgiven. Here are Few Signs From Allah that Show You Have Been Forgiven. My dear brothers and sisters when we repent to Allah there must be the sincere guild, it cannot be a casual commitment or a casual acknowledgement and we persist on the crime so that is definitely not not in accordance with sincere Taubah so that is the first thing. ''And they realized that there's no hope and amnesty but in Allah, then Allah forgave them'' and now this is the beauty of the forgiveness of Allah, when we've asked an apology to a fellow human, there's no guarantee and even if they do apologize, they would rave about this, probably they will taunt, they'll make some sarcastic remarks and at its best after the repentance, the relation will not be as was previously but probably will still be a bit reserved, still be a bit cold but here is the beauty of the Quran and the beauty of the forgiveness of the Almighty. Allah says that ''When a servant repents to Allah'' ''O my servant I will forgive you and it doesn't matter to me, I will give you a clean slate and it doesn't matter to me'' this is mentioned in the footnotes of the tafseer under this Ayah that when Allah forgives a sinner, Allah doesn't only remove the the hostility that existed due to the sin between the criminal and his creator but Allah is Wudhud, Allah is affectionate so Allah loves the one that repents, in other words, suppose you repent, you become close to the Almighty, you become someone that is, you know the Almighty is fond of and like there is a narration where a person came to the Prophet (saw) and said: I have this colossal mammoths task of sins that are resting on my shoulders and he was sincere, you could feel the pain in his voice, the agony, the crack, the the discomfort and the Messenger (saw) said stand up and say, oh my lord your pardon is more vast and more encompassing than my wrong and my evil and I'm more optimistic of your mercy than my virtuous deeds and the Messenger (saw) said repeat it and he repeated it and then the Messenger (saw) said stand up and it's a clean slate and you have been forgiven. That is the beauty, what we saying is that when we marry an couple, Istighfar with Taubah, that is we ask Allah for forgiveness of the past and we pledged not to revert then that would be a testimony, a manifestation, a reflection that the Almighty has forgiven us. Often we become complicit and we stagnate at the level of seeking forgiveness for the past but we make no pledges for the future. If a person is having an argument in his marriage or an employer and employee and he apologizes to his employer or he apologizes to his spouse but there are no commitments put ahead for the future, which one would forgive? in fact I'll leave you with this point of note to reflect, this is the beauty of the forgiveness of Allah. If a person has violated me and offended me and asked for my apology and I apologize but I have the slightest hint that he or she will repeat the wrong then I would withhold my pardon but when it comes to the Almighty, at the time we repent we might be sincere and Allah knows for the fact that due to our fallible nature, at some point we would relapse but given the fact that we repeat or we repent sincerely for the moment, Allah accepts our apology and Allah accepts our repentance so like somebody said that we wash our clothes but we know consciously it's going to get stained again but we don't stop washing it knowing it's going to get stain in the very same way we repent and probably due to our fallibility we will resort to sin but we should not tire repenting.